QS BRICS University Ranking, ranked IIIT-Delhi at 192 among 9000 universities in BRICS countries, and also listed the institute among Top 50 in QS Rankings India. B.Tech Admissions 2018 to various programs of IIIT-D will be done through Joint Admission Counselling, JAC-Delhi, and through IIITD admission process using UCEED rank(Only for some seats in CSD) and Class XII Marks (Only for some seats in CSSS). Details regarding the number of seats, eligibility, merit list and admission process are given in B.Tech admission brochure 2018. Admissions for foreign nationals/PIOs/NRIs will be through DASA and directly through IIIT-D process - more details are available here. If you have a query which you would like some current student or alumni to reply, kindly post on quora under the topic IIIT-D - you can use this link or on IIIT-D aspirants 2018-19 facebook group. Please follow announcements and developments on the admissions page of IIIT-D on facebook. If you want to ask some administrative question, please send an email to btech-admissions@iiitd.ac.in - replies or clarifications will normally be posted only on the institute’s website. 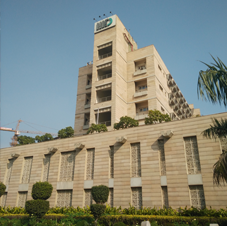 IIIT-D was created by an Act of Delhi Government in 2008. Since then it has gained a high degree of respect within the academic community, and is widely regarded as one of the top Institutions in the country for research and education in IT areas – in particular Computer Science and Engineering (CSE), Electronics and Communications Engineering (ECE), Applied Mathematics (AM), Computational Biology (CB), Social Sciences (SS) and Design (DES). Institute began with its first batch of 60 B.Tech students in 2008. Since then, it has come a long way with 60+ excellent faculty members specializing in diverse areas of Computer Science & Engineering (CSE), Electronics & Communications Engineering (ECE), Applied Mathematics (AM), Social Sciences (SS), Design (DES) and Computational Biology (CB) with about 1400 students consisting of about 1000 B.Tech students, about 250 M.Tech students and over 150 PhD scholars. In a relatively short time, it has earned a good reputation in India and abroad for being a center of quality education and research and is regarded as one of the country’s leading institute for IT education and research. QS BRICS University Ranking has ranked IIIT-D in top 200 in 2017. IIIT-D is one of the only three institutions from Delhi that have appeared on QS BRICS list of top 200 Universities. The institute is accredited by NAAC at A level, Institute is also approved by UGC and AICTE. Being a part of a research-based institute, our faculty is actively engaged in research. IIIT-D also encourages BTech students to undertake innovative research projects. Read more about research by BTech students here. The Institute offers six BTech programs – in Computer Science and Engineering (CSE), Electronics and Communications Engineering (ECE), Computer Science and Applied Mathematics (CSAM), Computer Science and Design (CSD), Computer Science and Social Sciences (CSSS) and Computer Science and Biosciences (CSB). The education programs at IIITD are as good as any Tier I institution in the country. IIITD offers one of the most up-to-date curriculum that prepares the students for high end industry careers as well as for higher studies. Incoming students will be invited to an induction program before the start of the program to help them transition from school to college. There will be fun activities to help the students bond with their seniors, Batch mates and programming familiarization sessions to gear them up for some coding.